Fabulous prizes! Cars, wealth, and a year’s supply of furniture wax! All of these – and much, much more – can be yours… if you survive. Of course, you are going to have to kill the monsters to get the treasure, and you aren’t the crowd favorite today, and the cameras are very unforgiving. But there are no second takes, and if you die… YOU DIE!In Xcrawl, the players are superstar athletes taking their chances in a live-on-pay-per-view death sport. It’s a modern-day world with a fantasy twist, and the game is simple: the Dungeon Judge, or DJ, creates an artificial dungeon under controlled – but lethal – conditions. He designs the maze, and stocks it with monsters, secret doors, magical traps, treasure and prizes. The players must go through the dungeon and fulfill whatever conditions the DJ puts forth in order to win. 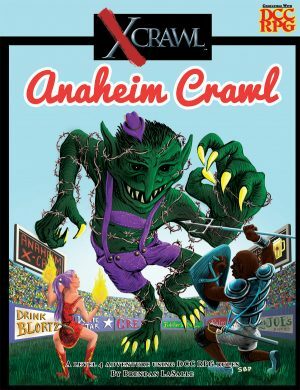 Xcrawl is coming back! The RPG of televised game-show extreme dungeon-crawling is entering a new edition, powered by Pathfinder. 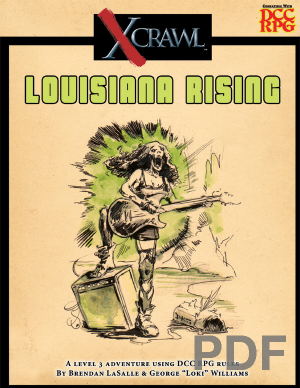 This new edition includes character creation rules, races and classes, new equipment, feats, and all the special Xcrawl rules you remember, like rules for Fame, agents, and your own groupies! The official Xcrawl Facebook page is live! 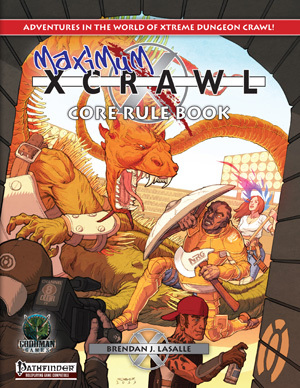 Download the official Maximum Xcrawl character sheet! Need some pregenerated characters for your Maximum Xcrawl game? Download the level 7 pregens used in our BostonCrawl tournament! Download the Xcrawl Stats Rules and Xcrawl Stats Sheet. 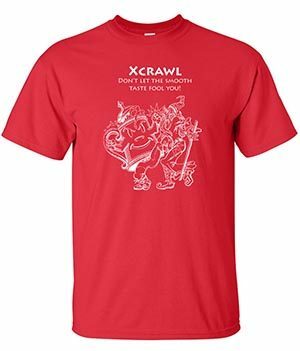 Facebook: Check out the Xcrawl Facebook page! 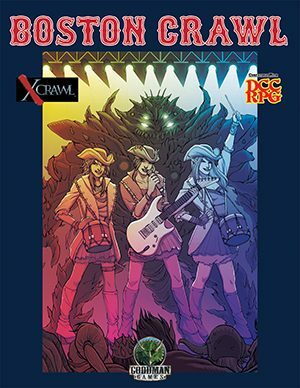 Creator Interviews: Check out these recent podcast interviews of Xcrawl creator Brendan LaSalle: The BS! Podcast and This Week in Geek (Brendan’s interview starts at the 30:00 mark).